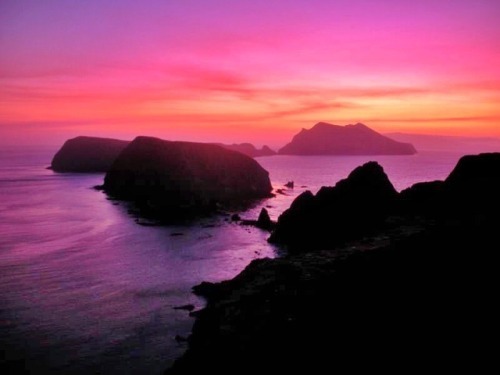 Channel Islands National Park in California encompasses five… – Sig Nordal, Jr.
Channel Islands National Park in California encompasses five remarkable islands and the surrounding ocean, preserving and protecting a wealth of natural and cultural resources. Isolation over thousands of years has created unique animals, plants and archeological resources found nowhere else on Earth. Besides being an amazing outdoor classroom, it’s also a great place to watch the sunset. Photo by Angela Scolaro (www.sharetheexperience.org).